A gorgeous selection of irresistible must have loose mineral paint dust and glitter colors. 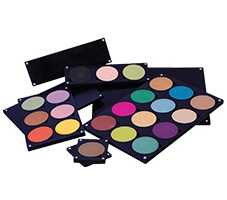 An assortment of colors available for all skin tones and preferences. 10 dramatic paint dust shades will add a touch of fun to your everyday makeup application. 12 brilliant glitter dust shades, perfect for a night of glamour, fantasy makeup, theatrical makeup, or just to sparkle up your day.. Provides an intense radiance of color and shimmer. Wear on your eyes, face, lips, or body. 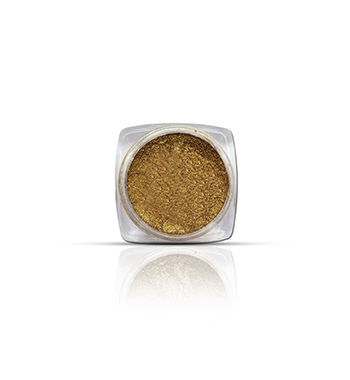 Provides an intense radiance of color pigment and shimmer. Talc and oil free, therefore not clogging the pores of the skin. Both the Paint and Glitter dust may be used wet as eyeliner. Become creative and mix your favorite shades with clear gloss to create your own lipgloss colors. For application we suggest you use our BB-026 Fluff brush to apply the Paint dust. To achieve better results use our NEW Eye Primer cream, the primer will intensify the color, hold the glitter in place, and seal the pigment on for hours.